The value of Americans’ stock and mutual fund portfolios rose $800 billion last quarter, while home values increased $600 billion, the Federal Reserve said Thursday. Total household wealth is now 2.1 percent higher than in the first quarter, when it was $104.7 trillion. The Fed’s report came on a day when a wave of buying on Wall Street sent U.S. stocks surging, lifting both the Dow Jones Industrial Average and the Standard & Poor’s 500 to all-time highs. Household net worth reflects the value of assets like homes, bank accounts and stocks minus debts like mortgages and credit cards. The data aren’t adjusted for inflation or population growth. They also don’t reflect the experiences of most U.S. households. Stock market wealth has been flowing disproportionately — and increasingly — to the most affluent households. The richest one-tenth of Americans own about 84 percent of the value of stocks. That’s up from 81 percent just before the Great Recession began in late 2007. That trend is concerning to some economists, who regard such sizable disparities in wealth as unhealthy for an economy. When lower- and middle-income people don’t share much in overall prosperity, many are forced to absorb more debt and take other financial risks. 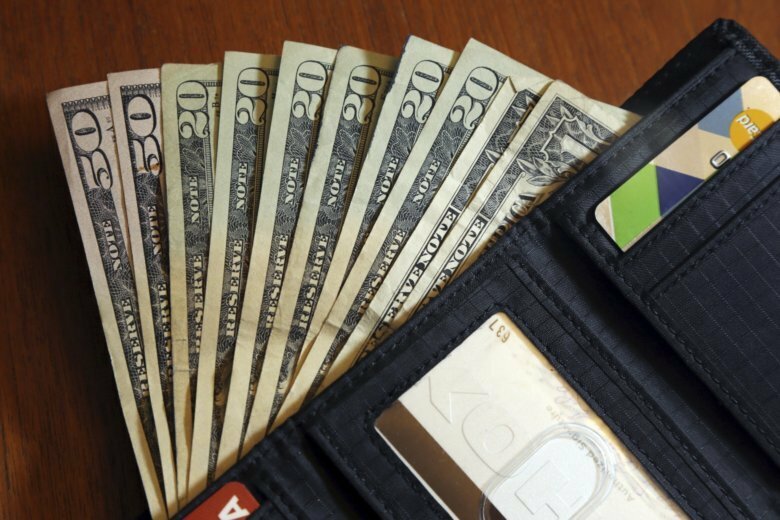 Americans are saving nearly 7 percent of their incomes, according to Commerce Department figures. That figure has remained fairly steady for five years even as the stock market has set new highs and average home prices have increased faster than most people’s wages. That trend suggests that many people remain cautious about cashing in their wealth, economists say, perhaps because they regard it as less stable than in the past. The rising concentration of wealth among affluent and educated Americans is another factor why the nation’s increased net worth isn’t accelerating the pace of consumer spending. Richer households are less likely to spend their wealth gains than middle- or lower-income households are.